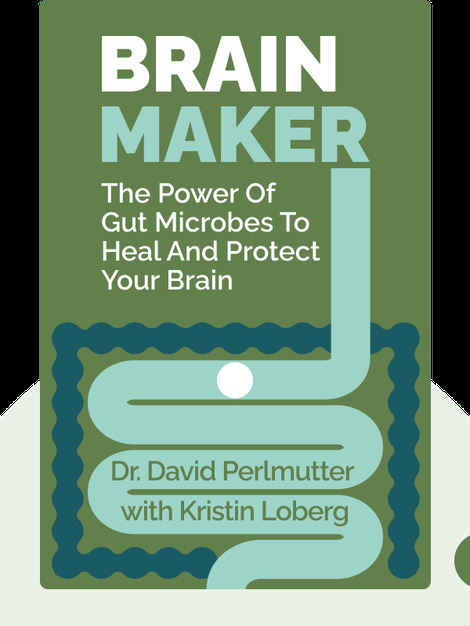 Brain Maker (2015) explains the connection between your health and your microbiome – the bacteria in your gut. It shows you how even diseases that affect the brain such as Alzheimer’s are actually influenced by your microbiome. Importantly, you’ll learn how making some simple dietary decisions can help you keep disease at bay and make yourself healthier. Dr. David Perlmutter is a neurologist and the president of the Perlmutter Health Center in Florida. He is the author of the bestselling book Grain Brain. Additionally, he has written for the Huffington Post, the Daily Beast as well as for medical publications such as the Journal of Neurosurgery. 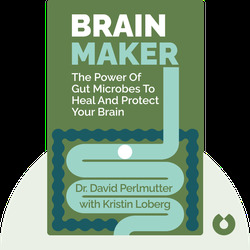 Kristin Loberg is a writer and editor, and has been a contributing author for many bestselling books, including Rule #1 (with Phil Town), The End of Illness (with David Agus) and Grain Brain (with David Perlmutter). Loberg also holds writing workshops at the University of California at Los Angeles.